I resolve to blog a lot more about the iPad next year. I think the iPad is a bit over-hyped, but still has many uses for lawyers, both personal and professional. I see trial lawyers carrying iPads in courts in front of juries where that just wouldn't be done with even a small notebook. 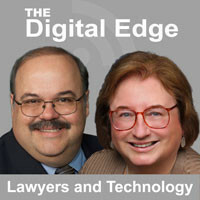 On our Tech Toys for the Holidays Digital Edge podcast , we mentioned iJuror, a $9.99 app for the iPad that helps lawyers in jury selection. This is one example of a new type of tool that works for the iPad and upcoming similar devices. Scott Falbo was so pleased that we mentioned his creation, he gave us a few codes that will let one download and install iJuror for free. This offer is only open to lawyers who presently own an iPad. But if you would like a free copy of iJuror for the iPad, e-mail my assistant at [email protected]. There are a limited number avaiable and when they are gone, they are gone. This offer expires at 4:45 CST 12/22/2010 in any event. WARNING: If you read this blog post you may find that you have to buy a VuPoint Magic Wand™ Portable Scanner. I mean, first of all, what lawyer hasn't wished for a magic wand before, particularly in certain courtrooms and depositions? But seriously, the VuPoint Magic Wand™ Portable Scanner is a great tool for many, many lawyers. It is very affordable at around $80 street price. Portable scanners are very nice tools, but a cordless battery-operated portable scanner that works independently of the computer for under $100 is a great tool. Watch the demonstration video here. How handy is it to be anywhere (court clerk's counter, taking a statement in the home of a witness, looking at a magazine) and think "oh, I'd like a copy of that" and be able to do it almost instantly without booting up a computer. I mentioned it to a few colleagues and one of them, a Legal Aid lawyer, bought one and has already scanned about 200 pages of police reports in just the last six weeks or so. He loves the Magic Wand. Of course, there is a cord to plug into your computer to transfer the scanned images there. It comes with OCR software included, but I have to confess that I just transferred the PDF files to my computer and OCR'd them with Adobe Acrobat. A microSD card is required, along with two AA batteries. It will scan in color or black & white, at 600 dpi or 300 dpi. But truly, this is a stunningly simple gadget that does just what it is supposed to do at a price every lawyer can afford. It should be a great addition to your laptop bag or briefcase. Before I direct you to Mongo, let me note two really great lawyer-columnists who no longer write their columns. In bygone days, there was one primary source for lawyers for information about technology advances. Each month in Law Practice magazine, Burgess Allison used to write Technology Update. His humor was great. I used to LOL reading this column before most of us had seen it typed as LOL. And no one could skewer Microsoft as well as Burgess. We miss you, Burg. Maybe you need to take up Twitter? Another great column was McElhaney on Litigation in the ABA Journal by Jim McElhaney. Talk about learning at the feet of a master! Although this no longer appears as a regular column, the ABA Journal still runs reprints occasionally because his advice is great and timeless. This brings me to Mongo. The February 2010 ABA Journal has reprinted a July 1995 McElhaney on Litigation column now-titled Meet Mongo. The tag line says "Unleashing your inner beast in Court hurts you, not the other side." Every lawyer should read this one, even non-litigators. It is funny and so very true. Many of us have had that moment in court where some inner Mongo whispered for us to lash out or otherwise misbehave. If you want some more good reading and good advice for courtroom lawyers, just input "McElhaney on Litigation" into Google or your search engine of choice. But perhaps you should do this on a date without a lot of deadlines. You could be reading for a while. 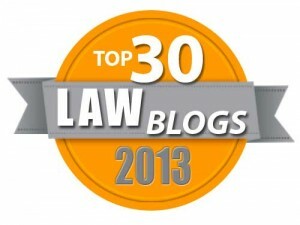 Mitch Jackson has been really turning out some nice tips on his Trial Lawyer Tips blog. I don't do jury trials any more, but I wanted to pass along this nice resource to my readers and encourage Mitch and co-blogger Lisa Wilson to keep up the good work. As courts move more toward e-filing and greater use of digital documents, lawyers will want to be able to use electronic exhibit stamps instead of more cumbersome methods. Rick Borstein of Adobe Systems Incoporated has created some nice exhibits stamps for you to download and use in Adobe Acrobat. They are really easy to use. Earlier this year he provided the simple exhibit stamps here and just a couple of weeks ago he provided these fancy two-line exhibit stamps here for those states that require a case style on the exhibit stamp (or lawyers who just think that looks better.) There are detailed explanations at the links above. If you've never done this type of download before, the download actually opens in a browser window with the instructions on where to save it and you use "File - Save as" to save it in the right place on your system. If you cannot see said "right place," you may have to go to Windows Explorer (not Internet Explorer) to make all folder settings visible, including those that Microsoft says by default most mere mortals should not see. Thanks, Rick Borstein, for this free tool. And, let me note again that the law firm that wants to better use Adobe Acrobat in the office should make use of Rick's free Adobe Acrobat training videos focused on law office operations. If I am doing a CLE program, I'll generally try to submit written materials and not just print the PowerPoint slides for my materials. (There are exceptions.) But if I have submitted written materials in advance that are not the same as my PowerPoint slides, I would often be interrupted at the beginning of the presentation with "I don't have the slides here in the materials! Where can I get slides? Will you send me the slides?" Without becoming a paying subscriber, YouSendIt only allows 100 downloads, so if it is a really big audience, a simple workaround is do the above twice and have two links on the slide, with one link for last names A - L and one for M - Z. But realistically only 10% will ever download it anyway. Of course I also have to warn them that the link will only be active for 30 days, but I actually think there are more downloads of the file when there is a deadline. Most importantly, when I finish the presentation, I don't have an assignment afterwards to e-mail something to an attendee. Logging onto the Internet from (Almost) Anywhere is my most recent article in the Oklahoma Bar Journal. "I can now log onto the Internet using my laptop from almost anywhere -- roadside, lakeside or poolside." It is great. I cover the details of using the highspeed Internet services provided by the mobile phone network carriers. But, even though this is not a budget-priced service, if you find yourself paying very often for hotel or airport Internet access, you may want to consider this alternative. Trial lawyers need to consider this as well. It is like wiring the courtrooms for your Internet access during trials. I purchased my Sprint EVDO service from Dave Block of Block Business Solutions in Tulsa. How did a Tulsa vendor make a sale in Oklahoma City you might ask? It was the same way most lawyers get their clients. He was recommended by a mutual acquaintance and patiently dealt with all reasonable requests for information and accommodations, along with a few unreasonable ones. Ace law librarian and Internet researcher Genie Tyburski recently published her “10 Essential Web Sites for Litigators.” Since I don't do litigation now, I tend to forget about the various court docket review sites, so you courthouse lawyers should check this out for certain. For some time now I've wanted to do a thoughtful and impressive blog post on PowerPoint. As many of you know, I create PowerPoint presentations pretty much every time I do a presentation. I think PowerPoint can enhance any presentation. OK, I will admit the PP show with 53 slides on "Introduction to Fantasy Football" for our 12 year old boys and their dads FFB league meeting wasn't that well received. But I probably just needed to tweak it a bit more. It's really trendy to criticize poor PowerPoint presentations. We've all seen them. More and more lawyers are using PowerPoint presentations in court. That creates some responsibility on their part. It's one thing to treat your friends to 158 slides of your summer vacation pictures or to include the entire text of a dozen federal regulations on the slide show for your Continuing Legal Education presentation. But if your client is paying you to show a PowerPoint to a jury, it probably should be good. Evan Schaeffer rides to the rescue with a post linking to several examples of PowerPoints used at trial, including Dave Swanner's offer (now over two years old) to send a CD packed with over 100 PowerPoint examples to plaintiff's lawyers. Dave does ask you add to wealth by contributing your own examples for the next edition of the CD either now or when you figure out PowerPoint. But you need not be a plaintiff's lawyer to check out this collection of 70+ PowerPoint and Presentations Resources and Examples. Hat tip to Matt Homann. Cliff Atkinson has made quite a name for himself writing about PowerPoint with his Beyond Bullet Points books and Beyond Bullets Blog. Recently he has decided to transition away from the free blog to a new user subscription website, BBP Online. At some point he says this will cost $25 per month, but for now charter subscribers can sign up at a rate of $25 per year. If you want to think in depth about your presentation skills, you can always visit the Presentation Zen blog. For an example of a PowerPoint tips there, check out this post. Here's a sad story. A law firm received a great deal of offensive and pornographic spam. They had a spam filter, but a lot was still slipping by. Some offended employees complained. Even though this is not the fault of the law firm, I'm sure the complaints struck a nerve. You don't want your employees exposed to something that offends them and one wonders if the situation could give rise to a hostile work environment claim. So they dial up their spam filter and then miss an e-mailed court notice of a hearing. As a result the judge hit them with an order requiring them to pay the costs and the fees of the opposing counsel who appeared at the hearing, a sum thought to be several thousand dollars. A stunning thing about this story was a quote from a lawyer-technologist who disdained the use of whitelisting tools because they had to be "manually maintained." As most readers know, a whitelist feature would allow e-mail for certain users to go through to the recipient, no matter what it triggered in the spam filter. All federal bankruptcy and district courts now use CM/ECF (Case Management/Electronic Case Filing) and notices of filed pleadings go out via e-mail.